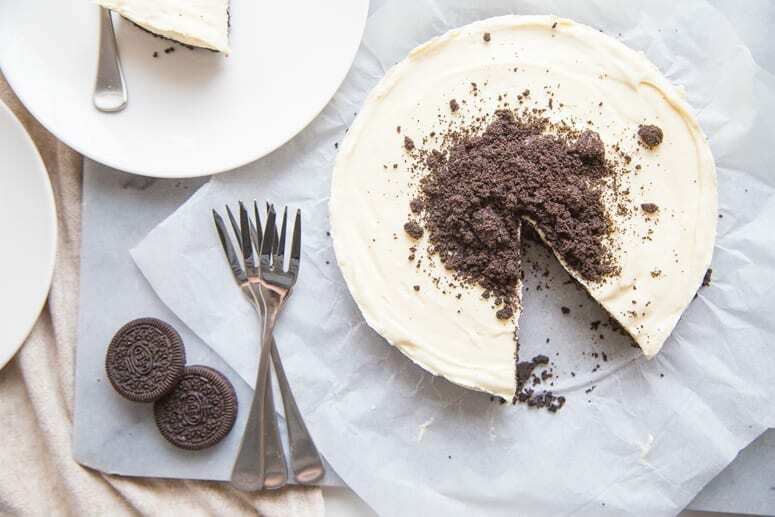 The best kind of cookies and cream dessert! 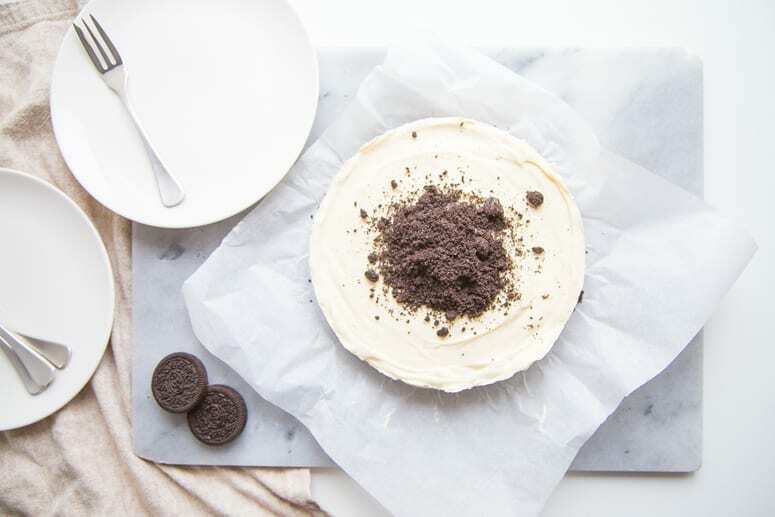 Our No Bake Oreo Cheesecake takes 15 minutes to make, just whip it up the night before your party and pop in the fridge – perfect when you need to bring a plate and want to please the crowds! 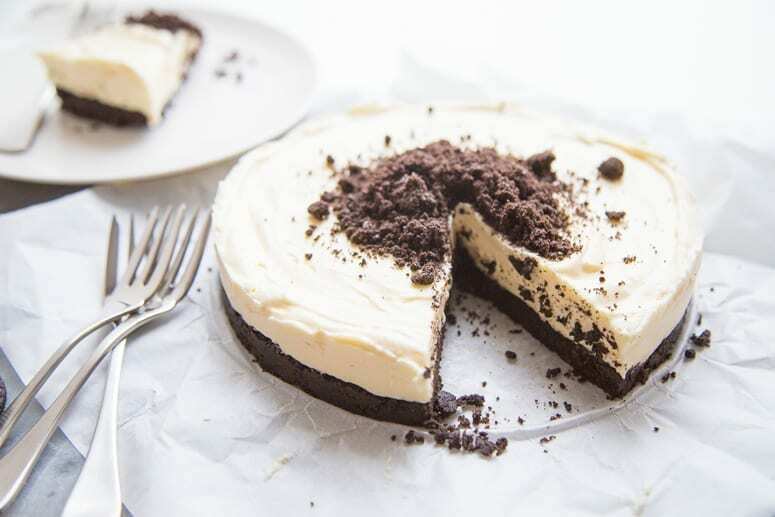 Our cake has a generous crumbling of oreo on top of a white chocolate cheesecake, if you’re more of a cookies and cream person, mix the excess crumbs through the cheesecake mixture before setting in the fridge. This recipe includes a heap of step by step images from the Sweet Magazine team, keep scrolling to see the full recipe and every step. 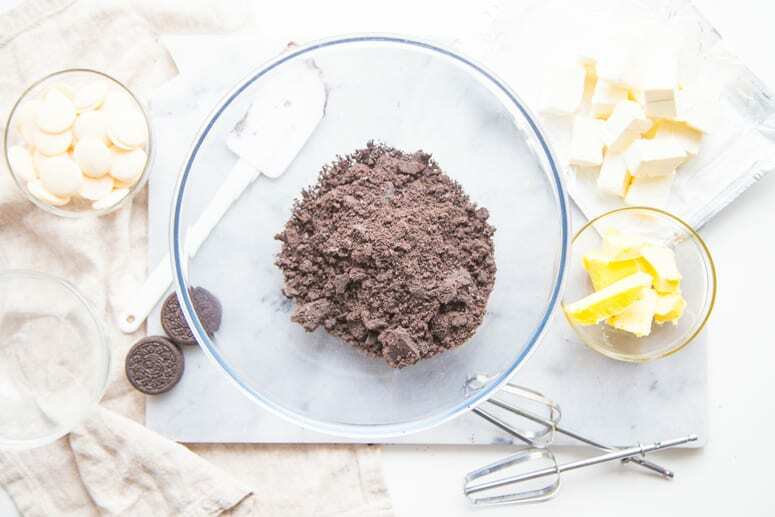 To make your No Bake Oreo Cheesecake, place all of your Oreos into a blender or food processor and blend until they turn to crumbs. If you don’t have a blender or food processor (or don’t want to wash them up!) 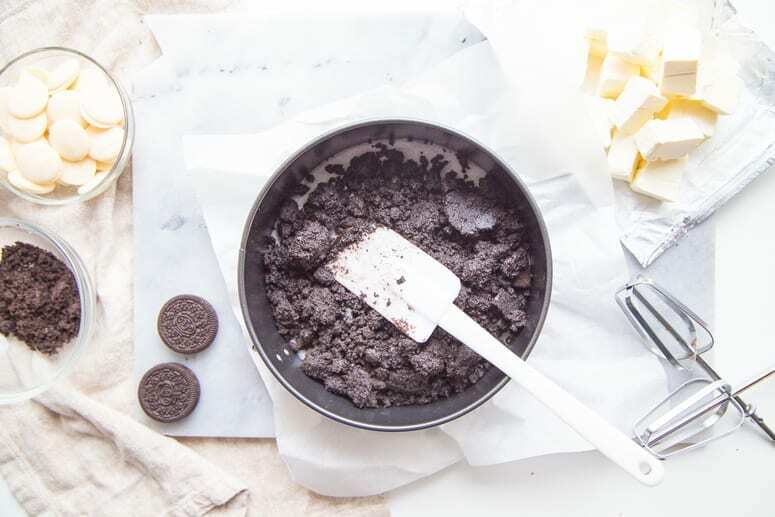 pop the Oreos into a zip lock bag, cover with a tea towel, and use a rolling pin or kitchen mallet to crush the biscuits. Reserve 1/4 cup of crumbs and set aside. Then melt your butter in the microwave and stir through the crumbs making sure everything is well coated in butter. Place a piece of baking paper over the bottom of a springform cake tin, and snap into place. This will make it easier to get your cheesecake out of the tin and place onto a pretty cake stand. Use a spatula or the back of a spoon to press the crumbs into the base. 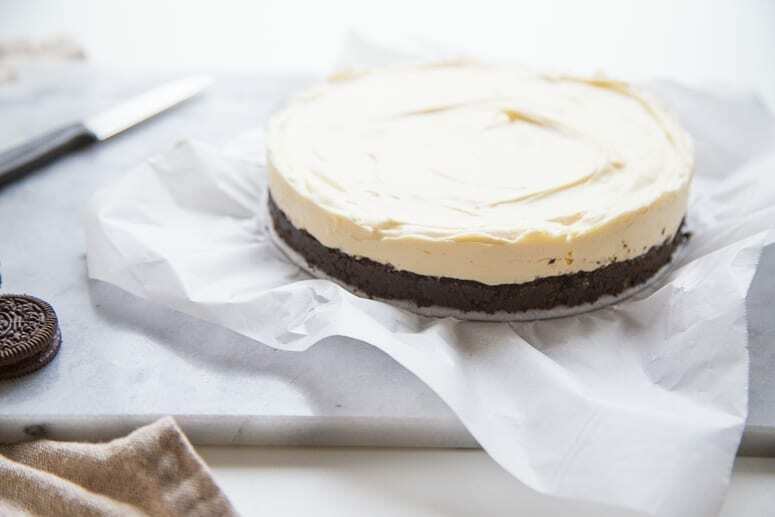 Place the base of your cheesecake into the fridge while you make the white chocolate cheesecake mixture. To make the white chocolate cheesecake melt the chocolate carefully in the microwave. Microwave for thirty seconds and stir well, return to the microwave for fifteen seconds, stir well and repeat until the chocolate is smooth and completely melted. 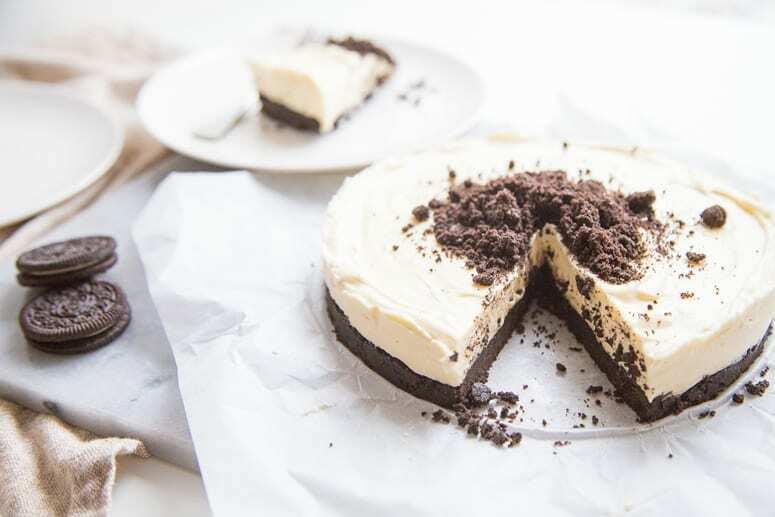 Make sure you’re using a white chocolate that you’d happy munch on for an afternoon treat, the flavour of your chocolate will become the flavour of your cheesecake! Allow the chocolate to cool to room temperature while you beat your cream cheese and cream. Cut the cream cheese into cubes to make it easier to work with, and beat with a hand held beater until the cheese is smooth and creamy. Add the cream and continue beating until the mixture is thick and luscious. Beat in the cooled, melted white chocolate. Scrape down the sides of the bowl and beat again until the chocolate is fully mixed and well combined. 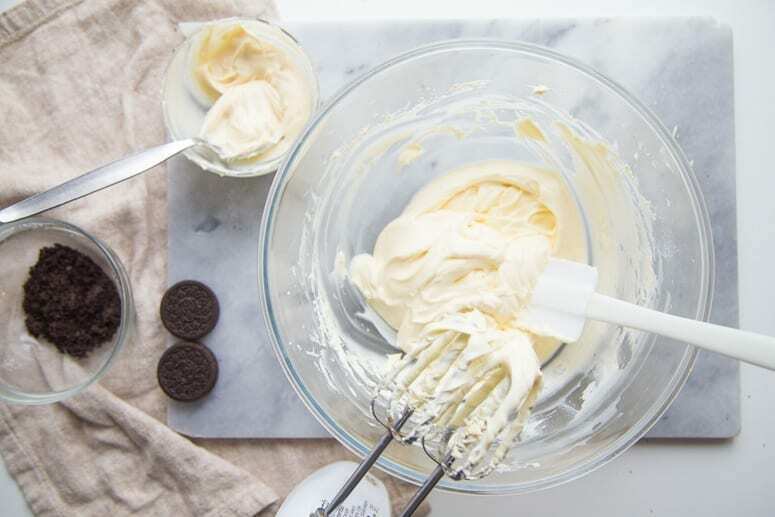 Smooth the white chocolate cheesecake mixture over the top of your Oreo crumb base, cover with plastic wrap and refrigerate for at least four hours. 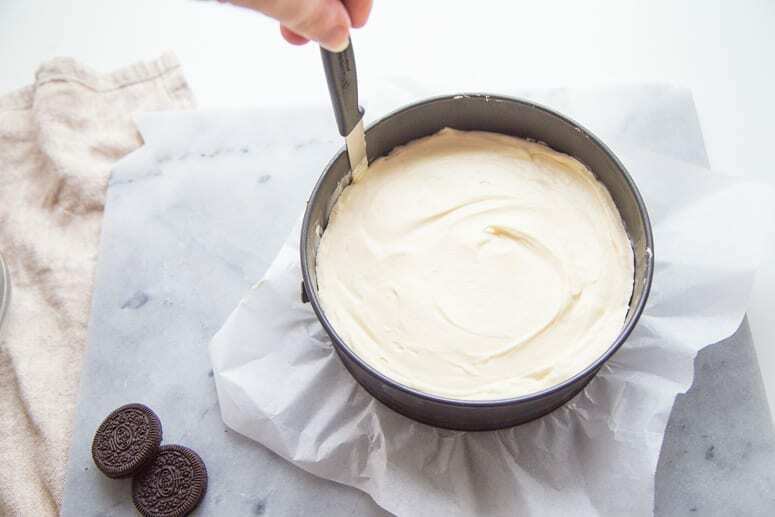 To remove your No Bake Oreo Cheesecake from the tin. Run a sharp knife around the tin between the edge of the tin and the cheesecake then carefully release the sides of the tin. Place your cheesecake on a pretty platter and serve, or enjoy right away! Keep refrigerated until serving, serves 8 – 12 and keeps for up to one week in the fridge. Sweet Expo Sydney 2018 - Tickets Now On Sale! Super early bird ticket sales end June 30, buy your tickets now and get 27% off the price of General Admission! A Sweet Magazine Celebration, Sweet Expo brings the pages of the mag to life over two sweet days filled with cake decorating, baking, and a veritable feast of delicious desserts!